A leading geothermal expert warns that the small island states in the Caribbean face “a ticking time bomb” due to the effects of global warming and suggests a shift away from fossil fuels to renewable energy is the only way to defuse it. 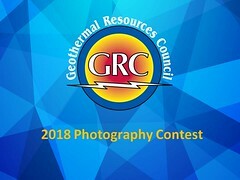 President of the Ocean Geothermal Energy Foundation and GRC Member Jim Shnell says to solve the problems of global warming and climate change, the world needs a new energy source to replace coal, oil and other carbon-based fuels. OGEF’s mission is to fund the R&D needed to tap into the earth’s vast geothermal energy resources. “With global warming comes the melting of the icecaps in Greenland and Antarctica and the projection is that at the rate we are going, they will both melt by the end of this century,” Shnell told IPS, adding “if that happens the water levels in the ocean will rise by approximately 200 feet and there are some islands that will disappear altogether.